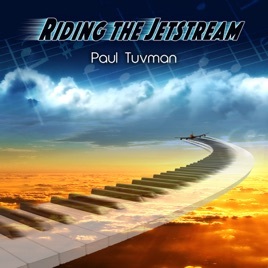 A longtime pilot for Delta Airlines, pianist and composer Paul Tuvman received an overwhelming response to his 2015 debut album, MUSICALLY SPEAKING, which was put on the In Flight entertainment system and pretty much launched Paul’s Smooth Jazz career. The title of his latest, RIDING THE JETSTREAM, is not only a nod to his day job, but an emotional guide to the freewheeling journey ahead. Working with producer Rick Braun (who plays trumpet on two songs) and guests Michael Lington and Pat Kelley, Tuvman alternately caresses and pounds the ivories as he eases effortlessly between lighthearted traditional jazz swing, energetic R&B/funk, lush ballads and ventures into Irish music and Brazilian samba. Time to get on board, buckle up and start RIDING THE JETSTREAM! 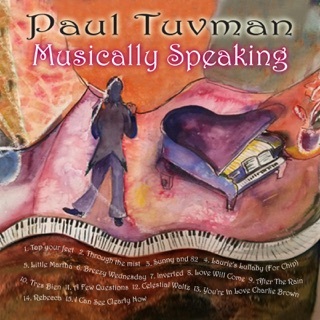 Paul Tuvman's sophomore release is AWESOME!!!!! This album really captures the essence of Paul as an artistic, insightful, and multi - talented musician. Teaming up with big - time musical talent with artists like trumpeting giant, and all - around good guy, Rick Braun, who's take on "A Song for You" is phenominal.............Michael Lighton, who's saxwork is a wonderful compliment to Paul's great piano work.......and Pat Kelley, who's guitar contributions give just the right depth and sharpness to the tunes, this release is incredible!!!!!! There are beautiful, original compositions by Paul here, along with some great arrangements of some past favorites......and with the talent assembled on this project, it surely does not disappoint!!! The tracks on this album are well - conceived, well - produced, and well - performed, showing why Paul Tuvman is becoming a major force in smooth jazz. Amazing effort!!!!!!! !